Here’s an extract of a review of THE AIREGINAN DREAM by Kunle Ajibade that I pulled out of the archives, but which is very relevant for the moment. When seers, saints, priests, visionaries and writers set apart a date in their calendars, the dateline is always meant to put a spell on us. Overwhelmed by the intricate web of magical dates, we drape them in clothes of dreams, myths and emotions in order to make them survive…. I started this brief remark talking about the power of dateline nurtured by a strongly desired purpose because the year 2013 is very central to Dupe Olorunjo’s The Aireginan Dream. That is the year of political fulfillment in this book, the year of a political triumph in an imaginary homeland called Airegin, which when spelt from the rear is Nigeria. The Aireginan dream, then, is the Nigerian dream. What is this dream about? It is about a country in which those who live in it will be treated with civility. It is about a country that will stop making itself a laughing stock in the comity of all decent nations. A country in which equity and justice will form the basis of the relationships among its ethnic groups. It is about a nation that will place premium on hard work. It is about a country of healthy, educated, happy people who live safely in boundless hope and prosperity. A country of God fearing individuals whose humanity is nourished by all the values that make other civilized human beings survive and endure. I’m reproducing a review of the Aireginan Dream I received in my mailbox. Thanks Lanre for taking the time to write this…. A friend gave me an xmas gift. I have not read a book that is not Management or IT related in the last 12years. I opened the parcel it was “The Aireginan Dream”. I reckon there was something he wanted me to read as he was a prayer partner and friend and knew my major prayer point… Alas it has nothing to do with my prayer point. I realized this from the summary at the back, I was curious, so I continued reading and for 8hrs I read, leaving the book only to get drinks and biscuit and by this morning, I had finished it. It’s my first fiction since secondary school when I was a fan of Hardly Chase and Robert Hoodlum. I now recall how I used to love reading……Thanks for making this happen and for a really wonderful story. My person relates so much with Dare, I have worked as Project Director in a PTO and a GSM company and not once in my career have a received a bribe and yes, I was offered often. I think “The Aireginan Dream” should be a secondary school text. Thanks again for sharing your thoughts in the wonderful book and may God continue to give you the grace to write more books and may he protect your family and raise men who will help save our country. If you have read THE AIREGINAN DREAM and it has inspired you, why not a moment to share those inspirations here too. Music they say is the language of the soul. My soul stirs deeply and tears threaten to fall each time I quietly listen to the power of Lara George’s solo – Ijoba Orun. This is truly Nigerian, truly Christian and truly powerful. You’ll feel the wind in your face as you get caught up in the prevailing force of the lyrics, the rhythm and the need to depend on God for the future. Dele’s phone rang as he sat at dinner with his family that evening. He picked it up and the code name for her – EBONY, appeared. The sight of those five letters made his heart quicken and his hands tremble. This must be urgent; he had warned her never to call him at home. He stole a sideway glance at his wife. God forbid that she even knows about this conversation. He had to find a way to settle Ebony and permanently cover his silly recklessness. Couple of times I’ve come across Nigerian Fiction lovers who wonder why Nigerians haven’t caught unto writing fiction the way we’ve planted our footsteps in the sands of film, home video, music, comedy, tv. Born in Nigeria in 1977 and grew up in the university town of Nsukka. She later moved to the United States to attend college, graduating with a major in Communication and a minor in Political Science. 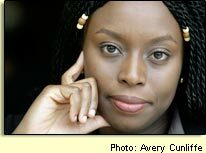 She holds a Masters degree in Creative Writing from Johns Hopkins and a Masters degree in African Studies from Yale. Purple Hibiscus won the Commonwealth Writers’ Prize and the Hurston/Wright Legacy Award while Half of a yellow sun won the Orange Prize. Myne Whitman is a pen name. She has lived in Nigeria and the UK and now lives with her husband in Bellevue, Washington. She volunteers as an ESL tutor for a local charity and writes the rest of the time. She is the managing editor of Naija Stories, a critique website for Nigerian writers. Sefi Atta was born in Lagos, Nigeria. She was educated there, in England and the United States. She is a graduate of the creative writing program at Antioch University, Los Angeles. 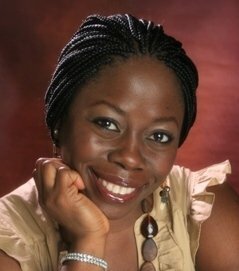 She is the winner of PEN International’s 2004/2005 David TK Wong Prize and in 2006 for her debut novel – Everything Good Will Come and was awarded the inaugural Wole Soyinka Prize for Literature in Africa. Her short story collection, Lawless, received the 2009 Noma Award For Publishing in Africa. She lives in Mississippi with her husband Gboyega Ransome-Kuti, a medical doctor, and their daughter, Temi. Dele saw her smile at him across the room. He should have looked away but he didn’t. In a split second, he took in her homely beauty, her beautiful figure and the braids she wore ever so elegantly. He didn’t know her name but became pleasurably aware of her. However he wasn’t going to do anything about it because he was happily married, content and loved his wife dearly. He had been married for ten years and had never once slept with another woman. I enjoy watching this program; most especially when I answer a long string of questions and imagine what it would be like if I was the one on the hot seat on the way to winning a million naira or better still dollars. All day I’ve had my eyes and fingers glued to my computer trying to resolve some issue on my website. Hours and hours I put in, with my characteristic I think I ‘can do’ attitude, but i just couldn’t sort it out. A cursory look at labels on my website, blogs, facebook page will reveal that I love the word – Inspiration. A little deep thought and it’s clear that we’re inspired every day by a number of things we come across; the things we see, books we read, music, movies, testimonies of achievers, news items, and the burnt fingers of mischievous people. And if we just take a minute to pay attention many of these stories (fiction or real life) have the potential to propel us in the right direction to….